LGBTQ theology, the memoir of a Ugandan bishop who advocates LGBTQ rights, the sermons of a genderbending 16th-century Spanish mystic and a children's book for LGBTQ families are presented in new books this month. 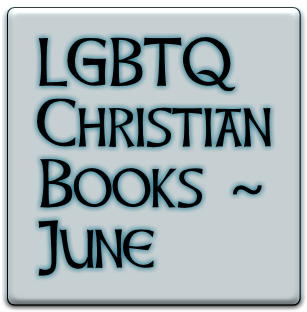 The theology books are “This Is My Body: Hearing the Theology of Transgender Christians” by Christina Beardsley and Michelle O'Brien (editors) and “Queer Virtue: What LGBTQ People Know About Life and Love and How It Can Revitalize Christianity” by Elizabeth M. Edman. The other books are “In Defense of All God's Children: The Life and Ministry of Bishop Christopher Senyonjo” by Christopher Senyonjo,” “Mr. Grumpy Christian” by Megan Rohrer and “Mother Juana de la Cruz, 1481-1534: Visionary Sermons” by Jessica A. Boon and Ronald E. Surtz (editors). “This Is My Body: Hearing the Theology of Transgender Christians” by Christina Beardsley and Michelle O'Brien (editors). Transgender Christians speak for themselves in this collection. They give voice to faith and theology grounded in specific yet diverse experiences beyond the usual gender identity imposed by church tradition. The book brings hope, anger and grace, plus a review of the latest theological, cultural and scientific literature. Many contributors come from the Sibyls, a confidential spirituality group for transgender people and allies in the United Kingdom. Foreword by Susannah Cornwall. Beardsley is a Church of England priest, hospital chaplain and activist for trans inclusion in the church. Raised Anglican, O’Brien does advocacy, research, lecturing and writing on intersex and trans issues. Published by Darton, Longman and Todd Ltd.
“Queer Virtue: What LGBTQ People Know About Life and Love and How It Can Revitalize Christianity” by Elizabeth M. Edman. “Authentic Christianity is and must be queer,” asserts lesbian Episcopal priest Elizabeth Edman in a major new book that brings together queer ethics, Christian theology and her own spiritual journey. In one of the most highly anticipated books of the year, Christian faith calls believers to rupture or “queer” the false binaries of simplistic thinking. LGBTQ experience is celebrated as valuable, virtuous and sacred. The author invites Christians to learn from “queer virtue” -- a path that involves identity, risk, touch, scandal, adoption (forming families), pride, coming out, authenticity and hospitality. “Queer Virtue” sparkles with a graceful writing style, provocative ideas, honest self-revelation, and up-to-date LGBTQ pop-culture references such as “Orange is the New Black” and “Fun Home.” The author has served as a hospital and university chaplain and marriage-equality strategist. Foreword by Michael Bronski. Published by Beacon Press. “In Defense of All God's Children: The Life and Ministry of Bishop Christopher Senyonjo” by Christopher Senyonjo. Uganda’s bishop who advocated for LGBTQ rights tells his life story in this readable autobiography. He is featured in the film “God Loves Uganda.” After his retirement as an Anglican bishop in 1998, Senyonjo started a counseling practice. His compassion and understanding of human sexuality soon attracted LGBTQ clients. His faith compelled him to speak out against Uganda’s proposed death penalty and other harsh policies for LGBTQ people, risking his life for justice. Now at age 83, he has written a memoir revealing the unlikely and inspiring path that led him to international activism for LGBTQ rights in Uganda, in the Anglican communion, and around the world. Foreword by Serene Jones, president of Union Theological Seminary. Published by Morehouse, the official press of the Episcopal Church. “Mr. Grumpy Christian” by Megan Rohrer. It was written for LGBTQ families to read if they hear Christians telling them that God cannot love them. In the true spirit of Christ, the book goes on to add, “But remember that God’s love extends to grumpy Christians too.” Rohrer wrote the book after meeting a 7-year old-boy who tried to kill himself because a pastor threatened him with hell. It is written for children ages 5 to 10. The author is pastor at Grace Lutheran Church in San Francisco and the first openly transgender pastor ordained in the Lutheran Church. Published by Wilgefortis Press. For more info, see First-ever LGBT religious children's books published. “Mother Juana de la Cruz, 1481-1534: Visionary Sermons” by Jessica A. Boon and Ronald E. Surtz (editors). 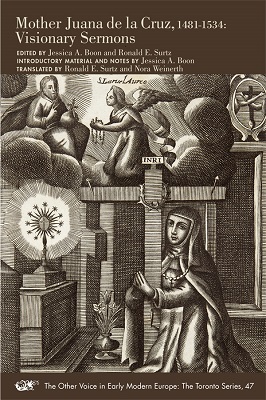 Sermons by genderbending Spanish mystic Madre Juana de la Cruz are available in English for the first time in this book. She emphasizes gender equality in God’s creation and envisions Christ sharing marriage beds with both male and female saints. Madre Juana insisted that God changed her gender in the womb, transforming her from male to female. She disguised herself as a man when she ran away to escape heterosexual marriage and had visionary experiences in which she spoke in a deep voice that identified itself as Christ. This volume is edited by Jessica A. Boon, religion professor at the University of North Carolina, and Ronald E. Surtz, Spanish language and culture professor at Princeton. Boon writes an insightful introduction to Madre Juana’s life, thought and context. Published by Arizona Center for Medieval and Renaissance Studies (ACMRS).